Learn About the Vital Role That Bats Have in Our Ecosystem. The Bat Jungle tour is a great insight into the world of bats and is suited for anyone interested in learning about the vital role that bats play within the ecosystem! One of the principle objectives of the Bat Jungle is to promote to the public the ecological importance of bats. You start your tour when you are picked up from your Costa Rican hotel and driven just a few minutes to arrive at the bat jungle. A bilingual guide will walk you through the bat exhibit where live bats fly through a simulated jungle environment. Along the tour you will be able to watch the 8 different varieties of bats fly, eat, socialize, care for each other and nurse their babies. You may even see them give birth right before your eyes. 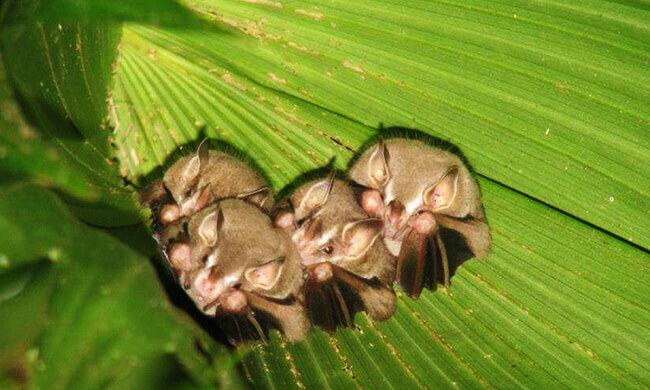 The Bat Jungle has a special ultrasonic microphone allows you to hear the bats! Spend an hour and a half exploring the world of bats before heading back to your hotel. Your tour includes: Transportation, entrance fee, bilingual guide specializing in bats. What to bring: Comfortable clothes, camera, water.